The Mobility Expo has been organized by the University of Miskolc since 2016 with the aim of helping Hungarian students to know more about international scholarships. 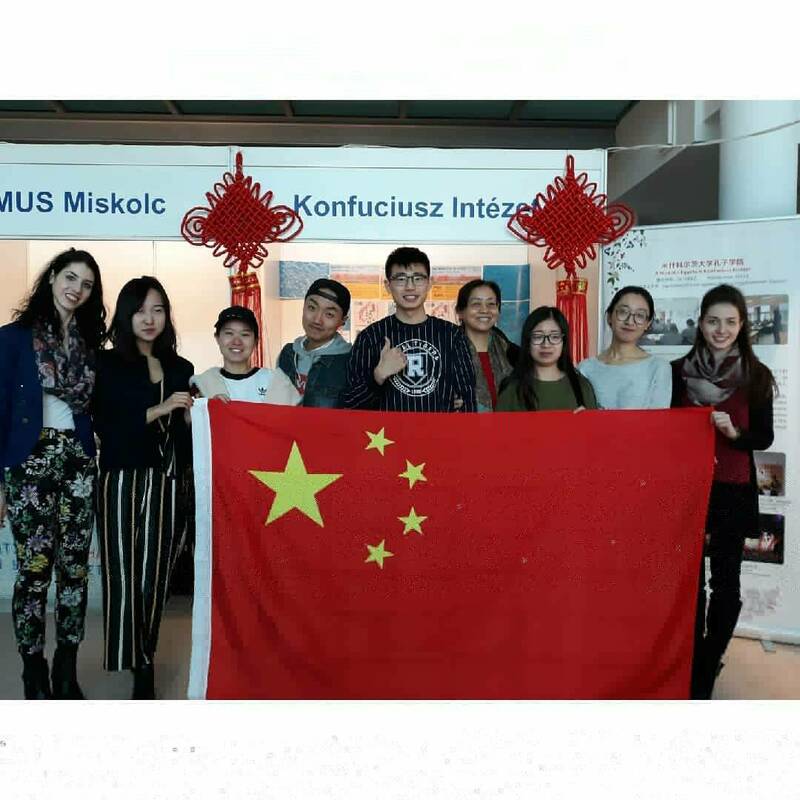 The Tempus Public Foundation, Erasmus Miskolc, AIESEC Miskolc, Camp Leaders Hungary, Confucius Institute of University of Miskolc, Marie Curie Program, and the Carrier Student Office presented several exchange opportunities this year at the event. “As one of the organizers, I really enjoyed the programs. Many students came to our booth being interested in the Erasmus+ program. In my opinion, an event like that is useful for creating bridges between Hungarian and international students who study at our University. 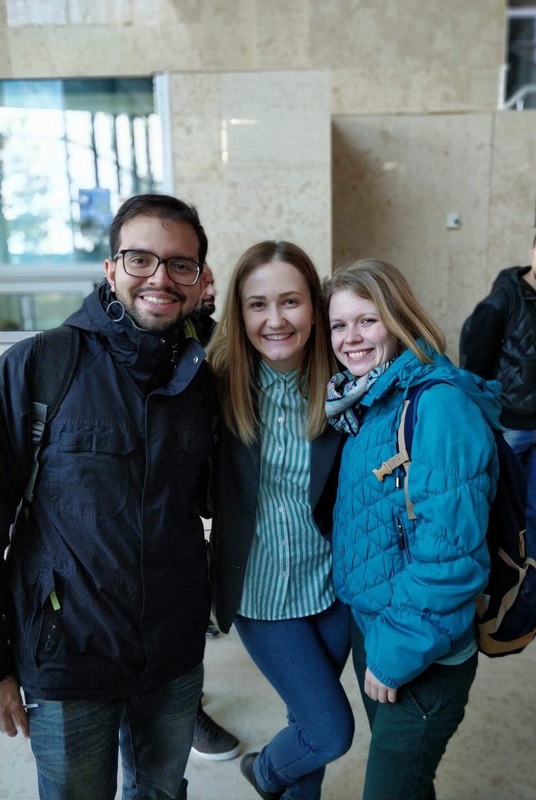 I encourage all students to experience an international exchange program and discover the world”, Bernadett Luca Bihari told me, who is the Social&ExchangeAbility and Mov'in Europe project coordinator at ESN Miskolc, and also a student of the Faculty of Law. 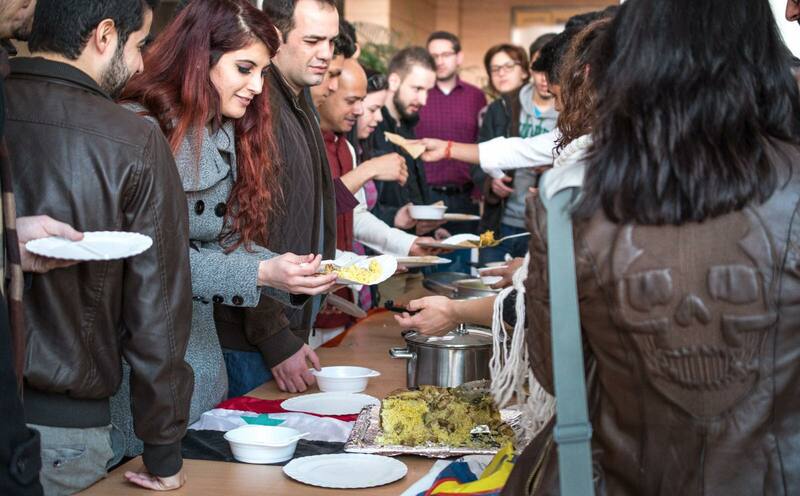 The day ended with Nations' Kitchen, where ten international students cooked their national dishes from India, Syria, Moldova, Colombia, or Poland. The participants could also taste a famous Chinese national food, Gong Bao Chicken, made by the teachers of Confucius Institute. 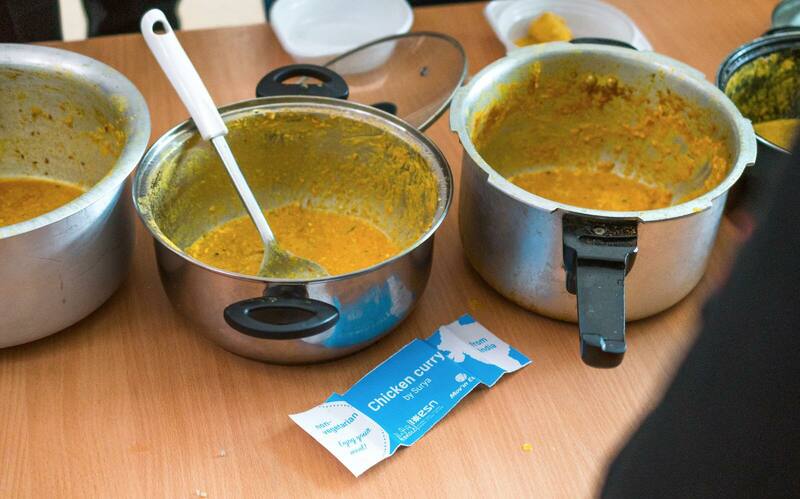 Some of the students who cooked for the event shared their impressions and their recipes too. The dish is famous in all parts of India, but it is cooked differently in different parts of the country. Surya prepared the chicken in the Northern style, as he originates from Delhi. Anyone daring to cook it, would need onions, garlic, butter, herbs, and spices like turmeric powder, salt, red chili powder, cumin powder, garam masala, and coriander powder. Surya strongly recommends all the enthusiasts to contact him via Facebook for the full recipe and maybe for some tips and tricks. Scientists believe they may have found evidence of a 4,000-year-old “proto-curry” in India's ancient Indus Valley civilization. However, that curry comes from the Tamil word kari, or spiced sauce, which was originally a thin, soup-like, spiced dressing served in southern India, amongst many other stew-like dressings for meat and vegetables. Hannah Glasse published the first curry recipe in English in 1747. 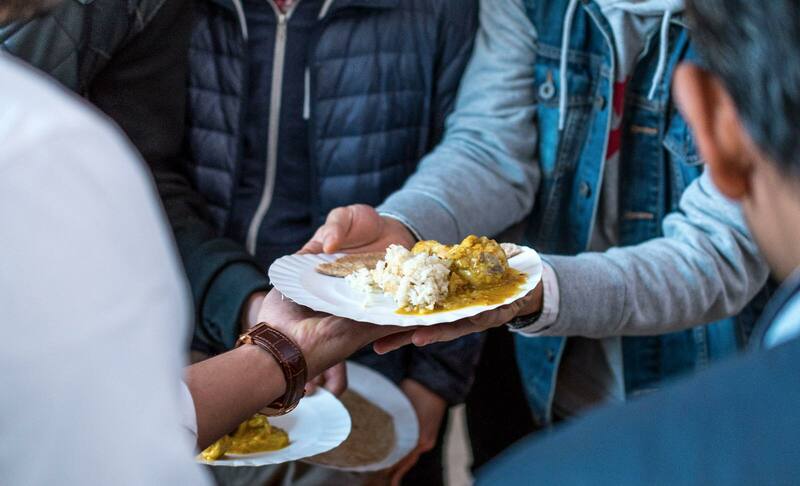 Later on, UK has adopted curry as a “national dish”, having more than 9,000 Indian, Pakistani and Bangladeshi restaurants all over the country. Besides, Indian food is lauded for its curries, mouth-burning spices and complex flavor pairings. If you do not have the patience to wait for the next Mobility Expo, pay a visit to the international students! Bonne appetite!